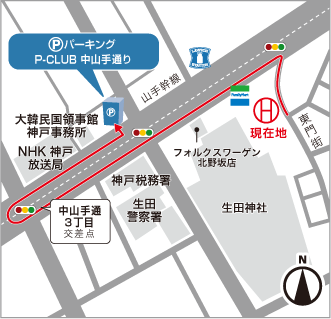 ※There is no parking in the hotel.We will be informed of affiliated parking lot. Please note that alliance parking lots will be on first-come-first-served basis as ordinary customers can use it. There is an affiliated parking lot information below. ※If you are coming by car please contact the staff. ◆In the case of coming by taxi please tell me the entrance of the Higashimon-gai of Yamate Kansen.Get off at the hotel in 1 minute. 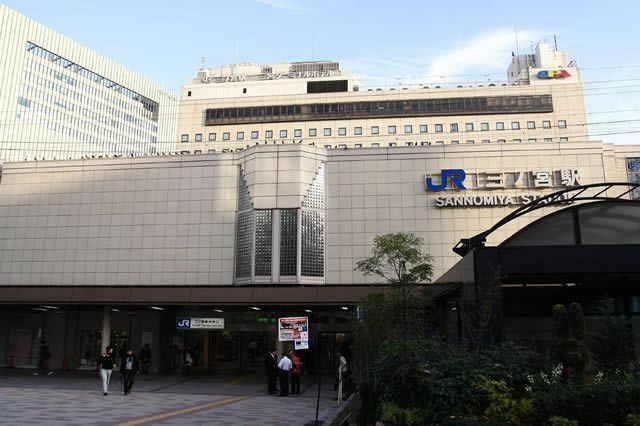 ·About 18 minutes from Kobe Airport from the Port Liner"Kobe Airport station" to "Sannomiya Station"
※First come, first served basis.Reservations are not possible. ※No warehousing out of business hours! Please be careful! ※Parking lot may be full.Please note. 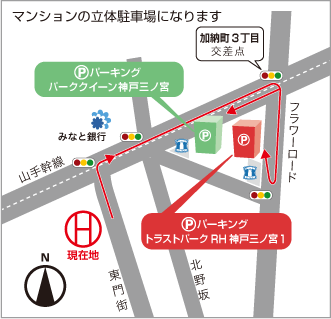 ※Please use coin parking if you can not stop at affiliated parking lot. ※We will issue a stamp on the parking ticket so please bring it to the front desk.